$229.99 $299.99 Save 23% Lowest Price Guarantee! Place your order within the next 42 hours and 51 minutes and your order will ship out MONDAY with FREE SHIPPING. Approved For Minor League Game Use By Major League Baseball and Perfect Game Events! Baum Bats are the original composite wood baseball bats. They are insanely durable, unique structures that are manufactured under conditions similar to those used to make advanced aerospace products. Baum Bats products are the result of years of intensive research and development in materials science, physics, and mechanical engineering. As Baum Bats reputation proves, the Baum Bat is simply the best wood bat in the world! With the AAA Pro Model from Baum Bat, you will save money because you will not have to buy another wood bat all season. You will, without a doubt, become a better hitter and prove to coaches, scouts, and fans you can hit with a wood bat. Thousands of Baum Bats have been placed in worldwide service in professional baseball, collegiate summer leagues, colleges and high schools all across the nation. All reports indicate the same thing - the AAA Pro Baum Bat is a wood bat, except it is far more durable. Thousands of hits were attained on some bats while maintaining the inside jam pitch effectiveness due to bat sting and wood-like ball exit velocity. Umpires, fans, coaches, and players could not tell any difference in the game, and most importantly the hitters became noticeably improved at the college and high school level while maintaining the game as it was designed. A designed combination and clone of the five most popular Major League hardwood bats. The AAA Pro Baum Bat hits, feels, looks and sounds exactly like wood, with a maximum diameter of 2.505 inches and a sweet spot diameter of 2.473 inches. Plus, the length to weight ratio is a guaranteed drop three. The major difference is durability. Imagine not having to replace your wood bat every 20-70 swings when it breaks! This is without a doubt the most durable bat in baseball. The Baum Bat has no equal! The Patented AAA PRO model Baum Bat is the only true high-tech wood composite bat that is BBCOR Certified and legal for high school and collegiate play. 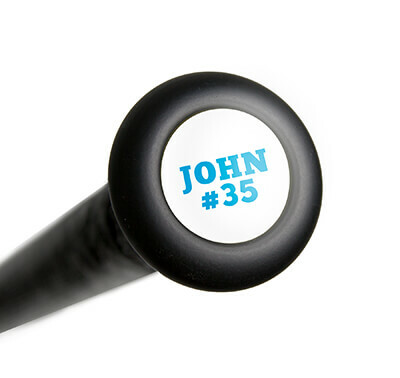 Pick up yours today with free shipping and 24/7 customer service right here at JustBats.com! Don't forget, we'll be here for you from click to hit! Pros: Best composite wood bat around. It hits like wood. This bat is filled with a foam like substance and even when I hit it off the handle or the end it never broke. Bought my first one in 2003 and used it until I got a new one in 2008. Still use my old one for BP and the new one in games. Pros: Best Wood Bat around to hit and train with it is won't break. Very Good Pop and very little or no sting when hit off the handle. Pros: My very first wood bat and I could not be happier. The weight displacement is excellent and the ball explodes off the bat. Also love the knobby handle. Was concerned about buying such an expensive wood bat but after researching a little bit I found you weren't going to find a better bat out there w/that kind of guarantee as well. Cons: Needs lots of pine tar. Pros: Simply AMAZING!!! This bat is used by over half our team and accounts for all of our home runs so far this year. Must have for wood bat leagues. Pros: My team bought 4 of them and all have lasted through a year of BP. I had to buy one myself. Awesome Pop! Ive gotten fisted, jammed, and hit off the end. Will not Break! Worth the money. Pros: Best composite wood bat around. Too good. Pros: greatest bat my son ever used. you could see the ball jump jump off the bat and i put on a easton grip and my son loves it. Pros: Has the exact feel of a wood bat. Extremely durable. Cons: Graphics and lettering are sometimes missing/messed up. Pros: Don't let the price scare you. This bat is worth every penny! This bat has so much pop I have hit homeruns getting jammed and hitting it off the end of the bat with the baum bat when normal wood bats wood have broke. Pros: Great Bat! Bought it about a year ago for a practice bat because the team I play for uses wood year round and we have to hit in the cages with wood and every bat i used broke. This one has fisted balls repeatedly and off the end and it has not broken in any way and hits great! Good Pop also. Pros: Indestructible great training bat that can be used for games as well. Good balance and feel. Cons: Slick handle so wear gloves. Pros: My daughter bought me this bat, and it was the best feeling bat I have used in a long while. My teammates didnt like the small knob at first but it quickly became the most popular bat we had. We averaged 1.4 homeruns per game since getting it. It repeatedly paid for itself. I have 7 minor league players who love it and will be buying one for themselves for next year in Low A and Rookie ball. Cons: It can be broken in the handle if a batter has weak hands, but Baum Bat will replace it as advertized. Amazing for a smaller company. Pros: Long lasting, great pop. I use the 33" 30oz and it feels perfectly weighted. Hit two HRs in a row in my last game. Both off the first pitch. 3 RBI for the first and a Grand Slam for the second! If you're in a wood bat league don't go past Baum. Yes they are a little more expensive but they are worth their weight in gold. Long lasting and the just get better and better the more you use them. Cons: Only con is that the handle is very slippery. I use batting gloves plus pine tar. Pros: Did not miss a beat going from BESR to this bat for summer league! Great bat!! Pros: Bat seems unbreakable and has great pop for wood. Has a good feel and weight is evenly distributed throughout the bat. Pros: Great bat!! Rather use this bat than my new composte. Pros: Looks,feels,and sounds just like a wood bat. I bought this for my 14YO first wood bat league after breaking a couple of Louivilles. He loves the balance and says it feels lighter than his alloy -3 bat. He's getting consistant hits every game with it. My son really likes the bat and it gets a lot of attention at practices. Cons: A bit pricy, and I know this is cosmetic. But I would have expected the finish to be a bit nicer looking for $200+. Pros: very good bat... great pop and is impossible to break.... recommend this to everybody who hits with wood bats..
Pros: very good quality. great shipment time. very good company to work with. Pros: amazing pop. Best money i've ever spent. Pros: Great balance. It had better balance than my now BBCOR Exogrid2!!! Pros: If you want a durable product look no further. Hands down the best composite wood bat on the market. Many players say they don't like hitting with wood composite because the ball doesn't come off of the bat like a real wood bat. NOT the case with this bat. Very true wood bat feel. Cons: If taken care of no problems. If mistreated foam can chip from end cap area and handle knob. Pros: Perfectly weighted, feels light, and the ball flys off. The bat is worth the money, and I will never again by a composite wood that isn't a baum bat. Cons: price is the single con. Pros: Love this bat, Felt good to hit with. But it does break . Cons: The Baum Factory only has a 6 month return/repair policy . My bat started to split and then broke in half two days after the 6 month mark. They said sorry . So keep the date of of purchase handy in case you need to return or repair within the 6 month date of purchase. Don't know if I will go with another Baum or not. Pros: Well balanced, very strong and forgiving. I have never had a bat last a full season. I jammed myself a few times this year and the Baum bat stayed true. Well worth the investment. Cons: Slightly less "pop" than a maple bat. Pros: Most balanced bat I have used. Great pop. It has a very good sound coming off the bat. Pros: Best wood bat I've ever hit with. It gets better as you use it. Cons: none, except it's pricey. Pros: Great weight! Great pop! Very very durable! Love this bat! Pros: Second Baum bat. First one lasted for over two years. Had thousands of cuts with it. Used it for batting practice and games. Cons: Some could say the price, but if it lasts as long as the first one did, then it's probably the best value. Pros: This is the best wood bat I have ever own.it has more pop than my marucci AP05, and my demarini 271, it is also great for some one who just started playing in wood lieges. Cons: For the price it could look nicer.However, you buy the bat for performance and durability not the looks. Pros: I love this bat it is nice mean when it comes to the plate. Cons: almost every one wants to use it incluoeding the other team. Pros: Quick shipping. Bat has great pop and is well balanced compared to other wood that are usually barrel heavy. Will buy another if and when needed. Cons: Minor blemish on end but needed it for a tournament so could not return. Should not affect performance just a little disappointing in the quality control. Pros: its very light and it has a the best pop ever .the ball just jump from the bat asap..works great with tape ..
Pros: i have had this for a year and it has never broken or cracked as every other bamboo bat has. Pros: Very durable, good pop, very balanced swing.... Recommend to anyone who is serious about baseball and needs a wood bat. Cons: The bat is very plain, but it preforms which is much more important than the looks. Pros: Bought this bat for my son two years ago before he broke it this year at age 16. He loved the feel of the bat. Well balanced and great pop. He's going to try the Brett Bros Deraptor next. Pros: Best wood out there. I like the new DeMarini, but nothing will beat this 35" 32 oz. feels like a 33 oz. Perfect bat for a guy that's 6' 1". Cons: None. My friend swings it and he should be getting drafted next year. Pros: Son loves the feel, sound and swing better than metal/composites. Cons: Not as durable I we where leadto believe. My son whois15 broke two this year one at the handle and one at the barrel. Pros: My kid loves it, uses it over the metal bats even. Cons: None at this time, as we have only used it for two weeks. Pros: best bat out there! Pros: Feels really solid! Jam shots and off the end of the bat does not sting as bad as normal wooden bats. Cons: A little high on price but we will see how long it will last. Pros: I've been using this bat for 3 years now. I take BP with it in the cage and at practice. I hit grounders to our infielders with it. I use it in games. This bat has been abused and it still hasn't broken. It has amazing pop. When you hit the sweet spot you don't feel a thing. The handle may be thick for some but it doesn't bother me. As far as durability is concerned I play in 2 rec leagues here in VA that are 20-25 games per league not including playoffs. I've seen guys on my teams buy Louisville, Rawlings, even Marucci. They go through 6-10 bats per season and I've been using the same bat for 3 seasons. If anyone is skeptical, don't be. This is the best composite bat on the market. PERIOD. Nothing else compares. Not even those DeMarini bats. Pros: Fantastic bat! I will use this over my 5150 and i love that bat alot to but definately using this bat! Pros: I'd rather use this than my XL1. You can even hit with it in the cold and it will still stroke. Using this in games a lot for sure. Cons: Plain design but so is the Marucci Blacks. Pros: The bat has a great swing feel. is balanced the way i like and had get pop. i am consisering another. Cons: The bat snapped at the handle after 8 months. I believe they only provide 4 month guarantee. Havent decided if I will buy another but but don't know a good alternative. Pros: Best pop of any bat I've ever used, extremely light and durable best bat on the market hands down. Pros: The pop this bat provides is awesome, first live pitch I saw in 2011 went over the fence. Its 3 full seasons later and my Baum has the same pop. I can hit the ball "wrong" and the ball will still fly. Amazing! Cons: Top of the Bat chipping away...then again my bat is 3 years old. Pros: Insane durability, yet has tremendous pop. I've hit bombs left and right with this. Cons: Composite, so check if its legal in your league first. Pros: Great (tremendous) pop to the bat and the weighting felt very balanced. Cons: The bat sheered off at the handle after about 50 games over a 6 month time frame. Pros: Used this bat for 2 years so far. Absolutely zero problems. Feels like wood and sounds like wood. No dull noise, just a solid crack when you hit the ball. Expensive purchase but you'll never have to buy another bat. So it's worth the investment. Cons: Finish isn't as pretty as most bats out there. But I'll take function over form. It's just going to get marked up anyways. Pros: Great balance yet still get the top heaviness of a wood bat when driving into the zone! Contact is good and feels great! Moving up to a 34 is much easier with this bat. Pros: shouldve broke but didnt. im 6'4" 260 lbs and got jammed real bad on a fastball , any other bat would have broke but the baum didnt, my hand did turn green for about a day though . also this bat hit in the sweet spot is very hot and seems to keep getting better with time. well worth the money instead of a new bat every couple of weeks or game. another plus is you can hit the bat on anyside. Cons: wish it had a bigger knob. Pros: Lasts forever, great feel! Pros: Put 3000+ swings in an 80 batting cage. Love the stiffness and pop of this bat. Hits the ball very well. Balanced which I prefer. The bat snapped in half just above the grip. I sent pics and the explanation of how it happened. I got a replacement from Baum in less than a week. Wonderful customer service. I swing hard and am not selective of pitches. This bat took a beating and was hammering the ball right up until it snapped in half. I had a cheap ash bat that didn't last 3 rounds in that same batting cage. That's should say a lot for the durability of this bat. Cons: None at all. It's a great bat for me. Pros: Good pop. Resound able sound. A little expensive for composite wood. Cons: The end broke off after a few months of intense usuage. 2 months in season and just gearing up for next season and it breaks. My son kept it in his room every night. He is 16. Pros: Very nice has great overall pop. Cons: The end of the bat chips and falls apart. I have already sent three bats back to baum because of this reason. Good game bat not cage bat. Pros: Durable. The times I've been jammed inside that bat has not shattered. I've used this bat for the last 4 weeks and it has good balance. Cons: I am underwhelmed by the pop. For the last 4 weeks I've only used this bat. I'm not feeling it. After about 20 cuts this weekend with the Baum, I decided to try my friends Maple DeMarini. OMG, a dramatic difference in pop. I felt way more pop. The ball was jumping off the bat and I was getting the sound I wasn't able to get from the Baum. Sound isn't as important to me as the pop, but it helped validate that I was using the wrong bat. Perhaps I bought a defective Baum. I'm just glad to know I have a better option. Pros: I was second guessing buying this bat because i wasnt sure if it was worth the 220 dollars but it hits great and feels great. Cons: When i pulled it out of the box the knob looked like someone hit it on the ground and flattened nearly half of the knob. Pros: This bat is a great buy! First at bat was a double off the wall. Ever since then the hits keep coming and coming! Pros: very comparable to bbcor bats didn't miss a swing going to this bat from my bbcor lasts forever. no more spending $100 on a wood bat that only lasts a few weeks. Cons: price, but the performance makes it worth it. very slippery, but add a quality bat grip and you'll be fine. Pros: My son loves it! Good pop and handles really well. Cons: Two weeks thru...the end started chipping. For the money you pay, it should not happen, right? We're sending back. We will stick to it though. Pros: It does have a great pop! It handles really well! This is a really good bat if not for cracking so early... see below. Cons: I got this bat about three weeks ago and last week it started to crack at the end of the barrel. It still on warranty, though it's a pain in the neck going thru the whole return process! Btw, per others' review, it appears (cracking at the end) is a common issue that, I hope, the company will take a hard look at. It's pricy, but it's not supposed to break that fast as other bats! Pros: Very light bat and lots of pop. Cons: Very slippery and the end of the bat starts to chip if you hit it off the end of the bat. Pros: Great if want the wood feel without the breaking associated with wood bats. Beautiful sound when squared up. Pros: Our sons first Baum bat lasted 2 1/2 years between travel ball and college ball and finally broke a few weeks ago. That's impressive for a wood bat! Lots of pop and very durable! Was spending lots of money on cheaper wood bats that he would break in a month! Well worth the money to get the Baum bat! Pros: Durability was a key issue for me. I have been playing senior baseball for since 1989 and bought a Baum composite bat in the Rocket model which lasted almost twenty years before finally breaking. It still had pop and I absolutely loved that bat. It was also a team bat at one time. I highly recommend Baum bats. Cons: I prefer a flat finish but did not want to pay extra. I think it should be the same price. Wish Baum would resurrect the Rocket model. Pros: durable, get jammed, Baum bat fights it off, lasting another AB, with this bat. Pros: I had used multiple Baum Bats over my career, and enjoyed them all. Last December, I purchases a new 33 inch Baum Bat that I planned on using the rest of my high school baseball career (I was a Sophomore at the time of purchase.) I ended up making it for only one whole season before that barrel completely broke from the handle during a session off a pitching machine. I knew that the warranty wasn't good anymore, but I contacted Baum, and they even ended up giving me a significant discount off of my next Baum Bat. Highly recommend this product and this brand! Pros: Hits and feels like a wood bat. Cons: Didn't hold up like I thought it would. Pros: Last longer than standard wood bats. Have a question about the Baum Bat Composite Wood Baseball Bat: AAA Pro Ash Adult? Ask our team of experts and they will respond within 24 hours. Does this bat have the BBCOR stamp? Yes, this bat does have the BBCOR stamp on the bat. In the third picture of the bat, it will show that this bat comes with the BBCOR stamp. How does the Baum Bat compare to the aluminum BBCOR bats? It hits pretty much like a wood bat, but is much more durable. I think it may be just a notch behind most of the BBCOR aluminum bats in terms of performance. All of the reviews are the same (word for word) on all of the different websites, I think they are fake. Are they fake? Why should I buy a $200 bat with fake reviews? The reviews are not fake and are submitted from actual customers and users of the bats. Because we operate multiple websites, reviews for products are often posted on all our websites. Does it come in a 34? Is it meant to be strictly a bp bat or game bat as well? All things being equal, would a hit ball go further with ash, maple or a Baum AAA bat? Yes. This bat comes in a 34 inch model and we actually expect to get some more in around mid-June (today is 6/9/11). These can be used in games. The AAA bat will be much more durable than your regular wood bat, but performance wise, I don't think you'll see a huge difference because it hits similar to a regular wood bats. Will there be a time where I can buy a 32" or a 32 1/2" here? We should be receiving more AAA Pro bats in multiple sizes around late June 2011. Since Michigan baseball (MHSAA) is switching to BBCOR bats would this bat be better than getting an aluminum bat? And lastly, is this bat 2 5/8 in barrel width? The AAA Pro really hits like a wood bat, but is much more durable. It may not be as high performing as some of the top-of-the-line alloy or composite BBCOR bats. Yes, it does have a 2 5/8 inch barrel. I am really stuck in between getting this Baum bat or a Easton Rival BBCOR bat. I want the bat that will give me the best performance for high school ball, plus also a good pop. I have seen all these reviews and I am just confused. Both are very good choices. Based on limited customer feedback the Rival may perform better while the Baum bat may be the more durable option. Have you seen it restricted at any level yet like AAU or American Legion? As of 9/13/2011, I have not heard anything about this bat being restricted by any organizations or leagues. When can we get one in 29"? The smallest size we carry in this model is a 32". How does this bat compare to the Marucci Maple AP5NB Adult? The Baum Bat is a composite wood and does require the BBCOR stamp, which is on the handle. The AP5NB is not composite and doesn't require the stamp. The Marucci is "bone rubbed" which makes the wood stronger. What makes the Baum Bat "indestructible"? It's structure and manufacturing process is very unique. It has a very sturdy foam plastic core with an ash shell. This is all reinforced with composite material. There hasn't really been anything like it and it's proven to be very durable. Is my old Baum bat BBCOR? What makes the Baum bat 220 and not 120 like most quality wood bats? This bat has a Composite Reinforcement Surrounding Core. That is going to offer more durability and more pop. Plus it is one of the only bats that has a 6month manufacturers warranty. I have used an older Baum bat, and it was very light and balanced. Is the BBCOR version the same? Is this bat wood or metal? Can it be used in a wood bat league? Generally, yes. But it really depends on the league. There are hundreds of different wood bat leagues, not all of which abide by the same set of rules. So I would check with your local league. Will there be any new versions coming out before the baseball season? I will buy your bat but not sure if I should go ahead and purchase this or if I should wait a little for a new version? We are always receiving new products in daily but for Baum bats we have not heard anything recently on new models we will be carrying. Can you use this bat in a "wood bat only" league? This would vary with different leagues. I would check with a league official first. How do I select a traditional handle vs flared? You are in luck the AAA Pro Adult model we have in stock features the standard handle size. For even more BBCOR certified bats see our BBCOR search filter at Justbats.com. Do the bats get better or worse as you use them? The Baum Bat will maintain it's performance for quite some time, but it will not improve in performance. Does it have good pop? As far as wood bats go, the Baum Bat Composite Wood BBCOR Bat: AAA Pro Adult has as much pop as any other wood bat. When do you expect the 32" or 32.5" back in stock? The Baum Bat Composite Wood BBCOR Bat: AAA Pro Adult are currently on order. We receive stock on a regular basis. As soon as we receive the items, our website will be immediately updated. Is it top heavy at all? The Baum Bat Composite Wood BBCOR Bat is a balanced bat. Is there anyway to tell if this bat is broken without being cracked on the outside? I have an older Baum Bat and it never rattles my hands but after a few swings this one is killing me. If the Baum Bat Composite Wood BBCOR Bat is not cracked on the outside then the bat should be structurally sound. The Baum Bat will rattle your hands if you mishit the ball on the handle or towards the end of the bat. Was there any design changes in making it BBCOR? Or will it perform the exact same as the older, non BBCOR Baum bats? There were no design changes to the Baum Bat Composite Wood BBCOR bat. If the bat breaks before the 4 months, will I return it to JustBats or would I need to return it to the manufacturer? The Baum Bat AAA Pro Adult has a 4 month manufacturers warranty so you are able to return to Baum Bat if the bat is defective. Can I use this bat in Little League? You could use this bat in little league juniors, but not little league, because it requires 2 1/4 barrel diameter. Should I use the label up on this bat? Also, is there any break in system I should use? You do not have to hit with the label up on the Baum Bat Composite Wood BBCOR Bat, and there is no break in process. Do you have in stock a size of 32.5"? No, we are currently out of the 32.5" model in the Baum Bat Composite Wood BBCOR Bat: AAA Pro Adult bat. When we receive more, they will be listed on the website. To be put on an out of stock reminder list, please call 1-866-321-2287. When should you get a new Baum bat if you already have one? I had my bat for 2 and a half years. Should I get a new one? If your Baum Bat Composite Wood BBCOR Bat: AAA Pro Adult is still in great shape I wouldn't see any reason to replace it. It is supposed to last a long time. My bat has some dents in it and its only been about a month. Will it effect the performance of the bat? Should I return it? Dents can alter your performance at the plate by causing a loss of ball control/placement if contact is made on the dented areas of the bat. If your Baum Bat Composite Wood BBCOR Bat: AAA Pro bat was purchased within the last 4 months, it will be covered under warranty through Baum. Their phone number is 231-929-0598. Is bamboo better than maple? Bamboo is more durable than maple. However, composite wood bats like the Baum Bat Composite Wood BBCOR Bat: AAA Pro Adult will be the most durable and high performing. Thinking of this, or the 2012 XL3. Which do you recommend? The Baum Bat Composite Wood BBCOR Bat: AAA Pro Adult is as near to indestructible as a wood bat can be. The XL3 will be a one-piece all alloy design. The XL3 will have a barrel heavy, end loaded feel to the swing weight. It will help with power. The Baum Bat will have more of a balanced feel. It will help with swing velocity. I use a Baum bat for baseball and recently have joined a slow pitch softball league that uses wood bats. Can I use the Baum bat for slow pitch too without doing damage to the bat? The softballs can damage the Baum Bat Composite Wood BBCOR Bat: AAA Pro Adult, but it is also a big barrel and all softball bats have a 2 1/4" barrel diameter, so it will be illegal. The Baum Bat Composite Wood BBCOR Bat: AAA Pro Adult will provide a standard handle size. It will be slightly less than an inch in diameter. Why does it hurts your hands when hit the ball? What's the difference between the Baum Bat and the Robinson Cano bat on the barrel? The Baum Bat Composite Wood BBCOR Bat: AAA Pro Adult uses a foamed plastic, surrounded by composite material and has an ash wood exterior shell. These materials should reduce any type of sting. The Robinson Cano bat has a pure maple barrel. Does the Baum bat contain any metal? I was told the bat has internal metal rods. No. 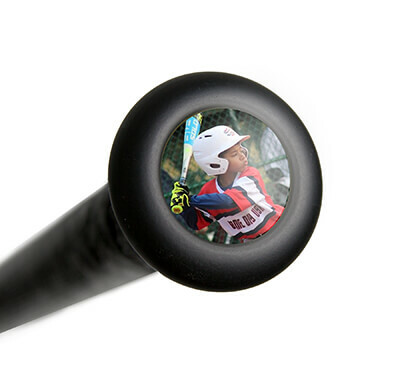 The Baum Bat Composite Wood bat has a foamed plastic core. Is the barrel made out of wood ? Yes, the Baum Bat Composite Wood BBCOR Bat: AAA Pro Adult features an ash wood shell that surrounds a foam plastic and composite core. Can the Baum Bat crack? Would it be obvious if it did? Yes, the Baum Bat Composite Wood BBCOR Bat: AAA Pro Adult could possibly crack. You would know by the vibration or lack of performance. Plus, you may see signs of damage on the barrel material. Internal damage may be harder to diagnose and may require using the 4 month manufacturer warranty. Can you use it in the batting cage? Yes the Baum Bat Composite Wood bat would be fine to use in a cage or in a live game. I'm more of a power hitter and it's really between this and the DeMarini composite S243 wood. Which is a better bat overall for power and balance? The DeMarini Pro Maple Wood Composite BBCOR Bat: S243 Adult is more end loaded than the Baum Bat Composite Wood BBCOR Bat: AAA Pro Adult. Both are very high performing and can be used by a power hitter. Is there a special way to hit with the Baum? Do the labels have to be up or can you hit with any part of the barrel? We recommend to still hit the Baum Bat Composite Wood bat with the label facing up. That will help increase the life span of the bat. Can it be used for high school? The Baum Bat Composite Wood BBCOR Bat: AAA Pro Adult has the BBCOR certified .50 stamp and is legal for high school. What are barrel and handle dimensions of this bat? The barrel dimension of the Baum Bat Composite Wood BBCOR Bat: AAA Pro Adult will be 2.505". The handle thickness will be standard at slightly less than 1". Can this bat be used in the MLB or only up to AAA division? The Baum Bat Composite AAA model will not be approved for MLB play. MLB will require one solid piece of wood. What about use during temperatures below 50? Will its performance or durability be significantly changed? The Baum Bat Composite Wood BBCOR Bat: AAA Pro Adult can be used in colder temperatures. The Baum Bat is a very durable bat and should not be affected by the colder temperatures. The Baum Bat Composite Wood BBCOR Bat: AAA Pro Adult is BBCOR certified, which is required for high school and collegiate play. What does it mean that it is a composite wood bat? And since this is a composite wood bat would it be outlawed by tournaments? The Baum Bat Composite Wood BBCOR Bat: AAA Pro Adult has a composite surrounding core. It is BBCOR certified and legal for tournament play. What is the swing weight to this bat? Balanced or slightly end loaded? The Baum Bat Composite Wood BBCOR Bat: AAA Pro Adult has a balanced swing weight. Will the barrel flake off because it's ash, or does it not because it's just an ash shell? The Baum Bat Composite Wood BBCOR Bat (AAA Pro) uses a foamed plastic, surrounded by composite material and has an ash wood exterior shell. With the exterior shell being made of ash, it is susceptible to flaking, like most bats made of ash tend to do. However as depicted by the video and customer reviews of this bat, it is very durable and is back by a full 4 month manufacture warranty. Is the whole bat supposed to have a rough texture? The Baum Bat Composite Wood BBCOR Bat (AAA) has a rough texture. Since the bat has an ash shell, is it "bone rubbed", or is there a benefit to "bone rubbing" the bat when received? The Baum Bat Composite Wood Bat: AAA Pro Adult won't receive the benefit from bone rubbing like most bats will. You might be able to achieve some compression of the outer shell, but the results will be very minimal if any at all due to the composite core. Can the Baum bat be used at Perfect Game wood bat tourneys? The official rules state "11. Wood Bats: All players must use wood or wood composite bats only. No metal bats allowed. Part wood and part metal bats are not allowed." but local PG rules often mention "BAT TYPE: Wood bat. Composite bats are allowed as long as there is no non-wood material included." The Baum Bat Composite Wood Bat (AAA) does not have any metal in the bat.However, it does have a plastic core. It would be illegal in the local rules you mentioned. The warranty on the Baum Bat Composite Wood Bat (AAA) Pro Adult covers any breakage or cracks that might occur. 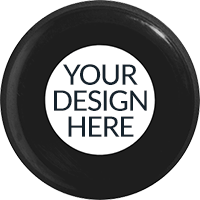 Do you sell the flared knob version? Unfortunately, we currently only offer the Baum Bat Composite Wood Bat AAA Pro Adult with a standard knob design. Do you make this in 35 inches? Baum Bat does produce this Baum Bat Composite Wood Bat (AAA Pro) Adult bat in the 35" length. But we currently do not have it in stock. Is Baum Bat better and stronger than a bamboo bat? The Baum Bat Composite Wood Bat AAA Pro Adult bat is designed to be the most durable wood material bat on the market and lives up to that reputation. Bamboo is very strong but is not as durable as the Baum. Can you use the Baum bat in batting cages? The outstanding durability on the Baum Bat Composite Wood Bat AAA Pro Adult bat can stand up to a lot but still lasts the longest when it is used with regulation baseballs rather than the yellow dimpled cage balls often used. Is there a paper that comes with this bat to be able to return it? If not, can you just find a proof of when you bought it? The Baum Bat Composite Wood Bat (AAA Pro Adult) can always be returned back to justbats.com if it is unused. Also, we are always able to find any previous orders and can email you any receipt needed. The league I'm entering allows only wood bats. Is this composite wood model legal in a wood bat league? Composite wood bats, like the Baum Bat Composite Wood Bat (AAA) Pro Adult, are sometimes not allowed by specific leagues. I can't guarantee you can use this in your league, even though it carries the BBCOR certification mark, so I would recommend checking with a coach or league director prior to purchasing one. What turn model of wood bat is the Baum bat close to? The Baum Bat Composite Wood Baseball Bat (AAA Pro Adult) will be very similar to a 271 turn. What are some of the most balanced wood bats on the market? If you are looking for a balanced wood design, it would be best to stick to either 110 turn model or 271 turn model bats. I'm 15, 6'4", and weigh 240 lbs. What size bat should I be using? Based on your height and weight, we recommend a 34" Baum Bat Composite Wood Baseball Bat (AAA). Is it possible to put in a request for two different sizes? For example, could I order a 32/29 and a 34/31 as my 2 bat package? This Baum Bat Composite Wood Baseball Bat (AAA) Pro Adult option is actually just for a single bat for the $269.99 price, which is why you're only able to select one size. We have both sides of the bat pictured to give a complete view of the item. Bat Packs that offer two of the same bats for one price will be listed as "*Item Name* 2-Pack". I apologize for the confusion, but please let us know if you have any other questions. Do you accept credit cards from Venezuela? We do not accept forms of payment issued outside of the United States. You may be able to purchase using a PayPal account but we do not ship outside of the U.S. either so you would need to ship it to someone to forward it on for you. Are you able to renew the 4 month warranty after it expires? No, I am sorry you are not able to renew the warranty on the Baum Bat Composite Wood Baseball Bat (AAA Pro Adult). I heard that if you call the people at Just Bats you can buy a life time warranty for this bat for extra money. Is that true? Unfortunately, the Baum Bat Composite Wood Baseball Bat (AAA) only comes with a four (4) month manufacturer warranty through Baum Bat. We do not offer a lifetime warranty on this model. I used the 2014 BBCOR Easton Mako all year last year, but I want to change to a wood bat. How would this compare to the Mako? The Baum Bat Composite Wood Baseball Bat (AAA Pro) will have a similar balanced and lightweight feel to the 2014 Easton MAKO BBCOR Baseball Bat (BB14MK). Is this Baum Bat one of the woods you can't hit on it's label? Or can you just hit anywhere on the bat? The Baum Bat Composite Wood Baseball Bat (AAA Pro Adult) has three labels around its barrel so it would be difficult not to hit it on an area with a label on it. The durable construction and composite material in the bat make it acceptable to hit anywhere on the bat. How much is a second hand worth? We are unsure as to what a used Baum Bat Composite Wood Baseball Bat (AAA Pro Adult) could bring you. Sorry for the lack of info. Is there any model with a thicker handle? The handle on the Baum Bat Composite Wood Baseball Bat (AAA Pro Adult) is the same for the different models but they do have a flared knob version of the bat available. I am deciding on buying either this bat or the DeMarini DX271 wood composite bat. Which bat would you recommend? Both the Baum Bat Composite Wood Baseball Bat: (AAA Pro Adult) and the DeMarini Pro Maple Composite Wood Baseball Bat (DX271) are both nice models. The Baum may have a bit better durability but the DX271 features a 3 month warranty. If a maple wood bat were made to replicate the exact shape, size, and feel of this bat, what turning model would that most be like? The Baum Bat Composite Wood Baseball Bat (AAA Pro Adult) would feel like the a 110 to 271 turn model. It will have a standard knob, 2.505" barrel diameter, and a medium taper. Standard handle or flared? I can't decide the pros and cons of each one. Whether you prefer the Baum Bat Composite Wood Baseball Bat (AAA Pro Adult) with a standard handle or a flared handle would be a matter of personal preference. It would come down to which feel you prefer rather than one being better than the other. My Son is getting ready to play travel ball and all tournaments are wood bat. Would this be approved?? Yes, the Baum Bat Composite Wood Baseball Bat (AAA) Pro Adult is BBCOR certified. Will the Baum bat or other wood composites like the Louisville Slugger wood comp perform better than regular maple/ash as far as performance not durability? Durability would be the major difference between bats like the Baum Bat Composite Wood Baseball Bat (AAA Pro Adult) and other more standard wood bat models. The performance would be relatively similar. Is this bat a BPF 1.15 wood approved? I need a bat for a wood only tournament. the Baum Bat Composite Wood Baseball Bat (AAA Pro Adult) is BBCOR certified which is a tougher certification and performance restriction than 1.15 BPF. No wood bats will carry a 1.15 BPF rating because the 1.15 number indicates that the bat performs better than a wood bat. Is the Easton MAKO Composite Wood Baseball Bat better then the Baum bat? Will the Baum bat be made in a 35" model in 2015? The Baum Bat Composite Wood Baseball Bat (AAA Pro Adult) is manufactured in a 35" model, however they only manufacture a small quantity of this length, and we do not currently have any in stock. The Baum bat features a foam plastic core with an ash shell that results in longer durability. The MAKO is designed to perform like the metal bat of the same name and is manufactured from pro stock maple which tends to have better performance than ash. We are playing a Perfect Game tournament in 3 weeks. Two players use Baum AAA-Pro. It is BBCOR stamped and I believe it is legal. Can you affirm? The Baum Bat Composite Wood Baseball Bat (AAA) Pro Adult is a BBCOR certified bat, and should be legal for the tournament. I use a 32.5 inch Baum bat. It is by far the best bat I ever used. I have to use metal BBCOR now for college. Which Easton BBCOR bat do you recommend me purchasing? I like a balanced feel with a lot of pop. Most BBCOR certified models will have a slightly different feel than the Baum Bat Composite Wood Baseball Bat (AAA Pro Adult) but the 2015 RIP-IT AIR BBCOR Baseball Bat (B1503A) may be a somewhat close comparison and comes in that 32.5 inch size. I am 5'6" tall and 140 pounds. What size should I get? We would recommend the 32" in the Baum Bat Composite Wood Baseball Bat (AAA) Pro Adult model for a player with your height and weight. How come the bat chipped after one game in the cap section? It is tough to say why the Baum Bat Composite Wood Baseball Bat (AAA Pro) would have had issues. Like most wood bats, if hit consistently off the end, the bat can see damage as the end is less durable than the sweet spot. The Baum Bat does come with a 4 month warranty that would cover any significant damage to the bat. I am 5'9-5'10 and I'm 165 pounds. What size should I use? For someone with your height and weight, I would recommend using a 32" Baum Bat Composite Wood Baseball Bat: AAA Pro Adult. I am trying to decide between this Baum Bat and the Brett Bros. MM110 Adult maple bat. Which would you recommend? This Baum Bat Composite Wood Baseball Bat (AAA Pro Adult) will be made with a composite reinforcement surrounding core and foamed plastic core that is designed to make the bat extra durable. As well, this bat has a 4 month manufacturer's warranty period on it in case durability issues arise within 4 months from the purchase date. The MM110 Adult has an all-maple build with a fiberglass handle to promote durability, but no warranty period will be provided for this bat. To get the most warranty protection, I would recommend Baum Bat. Does the Baum Bat have a warranty? The Baum Bat Composite Wood Baseball Bat: AAA Pro Adult will feature a four (4) month manufacturer's warranty. I'm 16 and I own a Baum Bat, but was thinking of getting a Sam Bat. Should I stick with Baum or buy a Sam? If you are comfortable using a Baum Bat and are seeing the performance that you want, I do not see any immediate reason to switch to a Sam Bat. If this Baum Bat Composite Wood Baseball Bat (AAA Pro Adult) has been your go-to bat for the past few years, then I would recommend stick with this bat. Would you recommend this bat for a perfect game showcase? The Baum Bat Composite Wood Baseball Bat: AAA Pro Adult is a very durable bat. We would suggest checking the regulations pertaining to perfect game showcases because in the past most players would have to use a one-piece solid wood construction. The top of my baum bat came off and I wanted to know if it is common. Also, my friend told me it happened to him and it ended up being better after the top popped off. The Baum Bat Composite Wood Baseball Bat: AAA Pro Adult features a four month manufacturer's warranty so if you purchased your Baum Bat within the last four months you are eligible for a free replacement. I have not heard of the top falling off and I would not say that it would improve the performance of your bat. How does the "pop" of the Baum Bat compare to the "pop" of a BBCOR metal bat? In regard to performance, I would have to say that this Baum Bat Composite Wood Baseball Bat (AAA Pro Adult) will not be as high performing as a metal BBCOR baseball bat. BBCOR certification for alloy metal and composite metal baseball bats does bring down the allowable performance on the bats (in comparison to the bats being made before BBCOR was started), but I would still say that the metal options will be higher performing than this Baum Bat (which is a composite wood baseball bat). I am 15, 5'7" and weigh 130. What size Baum Bat should I purchase? 31 or 32 inch? Based on your height and weight, we would recommend getting the Baum Bat Composite Wood Baseball Bat: AAA Pro Adult in a 31 inch model. Is this bat a one piece? The Baum Bat Composite Wood Baseball Bat: AAA Pro Adult is a one-piece bat but is not made from one solid piece of wood. Can I try it out and if I don't like it can I return it for a refund? Unfortunately, the Baum Bat Composite Wood Baseball Bat: AAA Pro Adult does not come with a trial period. If you were to use it then we would be unable to take it back. Does this bat have a lifetime warranty? The Baum Bat Composite Wood Baseball Bat: AAA Pro Adult does not have a lifetime warranty, however it does have a four month manufacturer's warranty. What is the barrel thickness of this Baum bat? This Baum Bat Composite Wood Baseball Bat (AAA Pro Adult) features a barrel thickness of 2.505". To what cut would you compare the barrel of the Baum Bat? 110? 243? This Baum Bat Composite Wood Baseball Bat (AAA Pro Adult) will feature a very balanced swing weight. Therefore, I would have to say that the turn of this Baum Bat would be closest to a 110 turn (bats with 110 turns are always very balanced). I play in a couple slow pitch softball leagues that allow the use of wood composite bats. Would the Baum Bat monster be ok to use for softball? I have been using the X bat baseball bat and it has worked well although it only lasted a season. The Monster Baum Bat will feature a 2 1/2" barrel diameter. Typically with slow pitch softball bats the barrel will not exceed 2 1/4". Unless the league allow the larger barrel the Monster Baum Bat would not be legal for use. Is this bat legal for Roy Hobbs baseball league over 53 in Fort Myers, Florida? According to the website for Roy Hobbs Baseball their bat policy states: "All Bats must be solid wood, single-unit construction and cannot be hollow. Bats with wood barrels and handles of a different composition or design are prohibited." Since the Baum Bat Composite Wood Baseball Bat: AAA Pro Adult is not constructed from one piece of solid wood it would make the bat illegal for use. Are Baum Bats legal for Intermediate (50-70) Little League? Yes, the Baum Bat Composite Wood Baseball Bat: AAA Pro Adult features the BBCOR certification stamp and it is legal for the Intermediate (50/70) division of Little League as a result for the 2017 year. How would this compare to the DeMarini DX110 as far as performance and weight? The Baum Bat Composite Wood Baseball Bat: AAA Pro Adult will be a more durable bat when compared to the DeMarini Pro Maple Composite Wood Baseball Bat: DX110 Adult. One will get more of a wood bat feeling from the DeMarini Pro Maple Composite Wood Baseball Bat: DX110 Adult as the barrel will be a solid maple core while the Baum Bat has a foamed plastic core. The weight of the bats will be nearly identical and as far as performance, there should not be a noticeable drop off between one over the other. I would like to know if you have/sell the Baum White Lightning AAA Pro White Adult Bat and if you do the price. We do have the Baum Bat White Lightning Composite Wood BBCOR Baseball Bat: AAA Pro White Adult and it is priced at $249.99. Is it hotter than BBCOR and is it legal for high school? All wood bats are natural wood which makes it tougher to make hotter or a bat that has more pop than that of aluminum or composite but the Baum Bat Composite Wood Baseball Bat: AAA Pro Adult is legal for high school play. Are these bats legal in hs level wood bat league? Yes the Baum Bat Composite Wood Baseball Bat: AAA Pro Adult is legal for high school level and is BBCOR certified. My son never uses a wood bat, but he is in his first 17U wood bat tourney. What bat do you suggest (I'm looking for a balanced bat, not end loaded)? This Baum Bat Composite Wood Baseball Bat (AAA Pro Adult) would be an excellent wood baseball for starting out as the composite wood design is more durable than what will be found on a natural wood bat. These Baum Bats come with very balanced feels as well. I want to know whats the most balanced wood bat there is? I swing a 32'', I want a light wood bat that is balanced and I want to feel when am making contact with the ball. The Baum Bat Composite Wood Baseball Bat: AAA Pro Adult is going to be one of our more balanced bat that will give you the feel that you are looking for. Why is this bat not regulation in some wood bat tourneys? You have all the approved stamps and seals. Some wood bat tournaments require the bats to be fully wood and do not allow a mixture of wood and composite. These bats need to be either all maple, all ash, or all birch. Since this bat has a composite reinforced design it is not considered a fully wood bat and not legal for play in some wood bat tournaments as a result. It is always best to check with a league or tournament official to make sure the bat meets the requirement for that particular event. (1) Does last year's model have more pop and did they take the rod out? (2) And is there another wood bat with bigger barrel that's BBCOR certified? (1) The design of this Baum Bat Composite Wood Baseball Bat (AAA Pro Adult) has not changed for a number of years. This year's model is made just as past years' models have been constructed with a Composite Reinforcement Surrounding Core. The "pop" will be the same when compared to past bats. (2) This bat will have as big of a barrel of any composite wood bat out on the market. What turn model would you compare the Baum Bat to? The Baum Bat Composite Wood Baseball Bat: AAA Pro Adult would be relatively similar to a 110 turn model. It will have a standard knob, 2.505" barrel diameter, and a medium taper. Is this bat approved for 2018 Little League? This Baum Bat Composite Wood Baseball Bat (AAA Pro Adult) features BBCOR stamp certification and also features a Composite Reinforcement Surrounding Core on the inside of the bat. Because of those characteristics, this bat will not be permitted for use in a Little League Division under Seniors (i.e. it will not be allowed in Tee Ball, Minors, 9-10, Majors, Intermediate or Juniors). Is this bat approved for use at the college level? Yes. The Baum Bat Composite Wood Baseball Bat (AAA Pro Adult) features the BBCOR certification for High School and Collegiate approval. Are they bringing back the 35 inch Baum bat composite bat? I don't believe they are at this time. You would have better luck trying to contact Baum directly about this question however. Is there a difference in the quality of the bat between the Gold Edition and the Standard bat? The gold is $70 more and comes with a year guarantee, but is that the only difference? Yes, the gold model offered directly through Baum is only different in that is has the longer warranty and the limited edition gold graphics. I'm 5"7' and 180 pounds, should I get the 32.5 or 33? Based on your height and weight, and given those two sizes, I would go with the 32.5" Baum Bat Composite Wood Baseball Bat: AAA Pro Adult. Does this bat have end loaded or balanced feel to it? The Baum Bat Composite Wood Baseball Bat: AAA Pro Adult will feature a very balanced swing weight. Can this be used in Middle School ? The Baum Bat Composite Wood Baseball Bat: AAA Pro Ash Adult would be allowed if your middle school follows BBCOR rules. It would not be allowed if it follows Little League rules since this a composite.